Yesterday, The Toronto Sun published an editorial by renown editorialist Candice Malcolm which praises Steven Blaney’s proposed plan on national security and immigration. We’re glad to take compliments when they come, especially from someone known for tackling sensitive issues with courage and audacity. 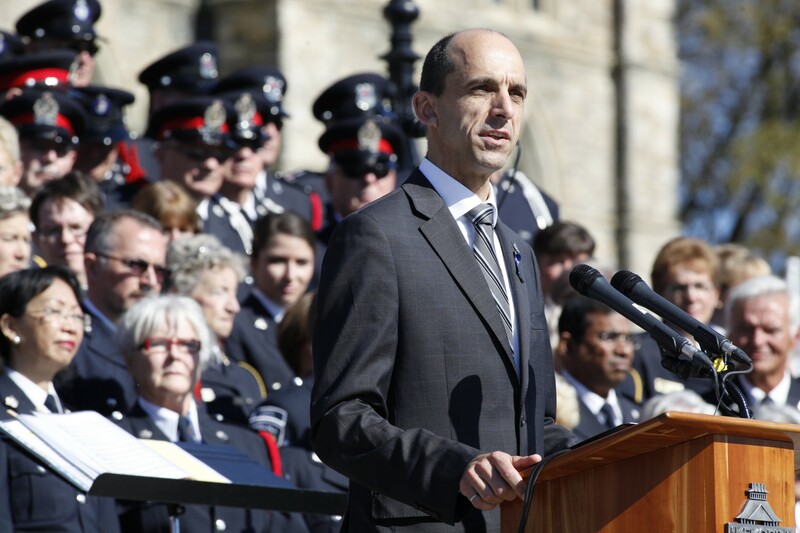 “When it comes to national security, Quebec MP and former federal public safety minister Steven Blaney provides a reality check to counter Trudeau’s open-border naivety. Far from cowering to political correctness, Blaney’s no-nonsense approach to immigration and security is exactly what Canada needs. From his sensible proposal to stop illegal immigration across the U.S. border, to his commitment to the integration of newcomers, rather than hands-off mass migration, these policies would help restore the integrity of our immigration system. Unlike most politicians, Blaney understands Canada’s natural advantages are being undermined by Trudeau’s gullible approach to immigration and security. All Canadians must remain vigilant to the threats we face and, like Blaney, should refuse to be silenced by the politically correct liberal mob. Candice Malcolm is right. Justin Trudeau and his Liberals are cunningly leading us to a slow death, like a frog which boils to death without noticing its once cold water is heating up. If like me you care about preserving Canada’s natural advantages, send a clear message by marking Steven Blaney as your first choice on your ballot and by donating $10 to our campaign by clicking the button below so that he can continue his fight to put Canada back on track. Thank you Candice for saying out loud what many people are afraid to say! Trump Victory: What Now for Europa? So a battle has been won but victory is still far from reach –especially for Europa. 1) Non-citizens cannot be allowed to vote. Trump should refuse to seat the California congressional delegation because the state allowed non-citizens to vote. All of California is a rotten borough, and until it cleans up its voter rolls, we might as well extend the wall around it. This goes for any other state or electoral district that allows non-citizens to vote. 2) Create new, reliably Republican states: Northern California should become Jefferson. Upstate New York should break away from NYC and Long Island. Southern Illinois should break away from Chicago’s orbit. That alone would mean six more Republican senators, as well as additional Republican Representatives and Electoral College votes. 3) Purge the voter rolls of dead people, duplicate voters, and felons — and vigorously prosecute and jail those who commit voter fraud. 4) Decrease opportunities for electoral fraud by eliminating mail-in ballots and early voting, requiring valid ID that proves citizenship, installing facial recognition technology to prevent the same people from voting multiple times with different IDs, and making voting machine software and hardware completely transparent and open source. But what now for Europa? We have all joined our American kinsmen in basking in the Liberal butthurt of infantile adults breaking down with something approximating Post-traumatic Stress Disorder (P.T.S.D.). We have rejoiced in the System’s paid political stooges and Presstitutes with egg on their face, now having to work with and report upon the most powerful man in the world who rejects their sentiments and to a significant extent shares our Nationalist platform. We have all laughed at the £3.5 million Paddy Power have to shell out after jumping the gun with the below image and paying out early to those who backed a loser who might soon be facing a fresh investigation and possible imprisonment by the Trump Administration. But now it is time to get serious. We now have a strong wind in our collective sails blowing in from across the Pond. We need to utilise this energy and take advantage of the tacit permission this political earthquake, this Trump victory, has granted us. Apart from assisting our American brethren in the possible necessity of holding Trump’s ‘feet to the fire’ should he, for whatever reason, fail to deliver on his promises, we should not become engrossed in what is happening in the States and remember our collective war –not wanted yet declared upon us– here in the Motherland. Trump has won, but the liberal left are already planning their counter-strike. Together with the media they will try everything to paralyze and block his precidency, with their protest on the streets. What Trump needs now to achieve his plans to stop mass immigration and start the remigration is a metapolitical activist movement, that serves as a “ground force” for alternative media.